Ok so it’s definitely not War & Peace, nor is it one of those really dry academic Yoga text books that naval gaze its way into whether or not Yoga is 5000 years old ( and you always , always need both a dictionary and a thesaurus to understand some of the words these books use ) ( I mean why do they have to write that way) (ok enough of the brackets). 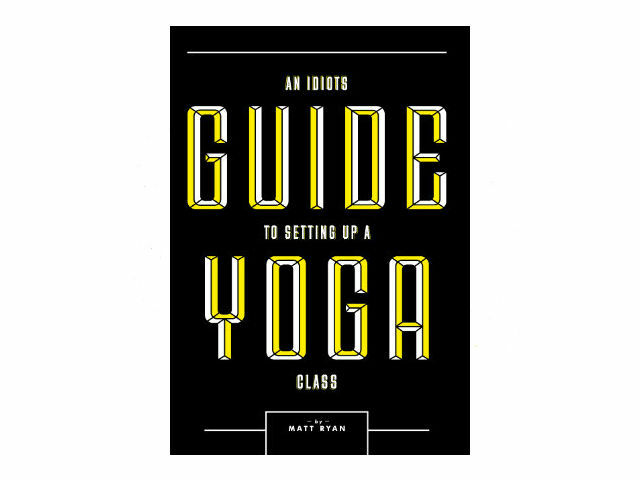 But my book ‘An idiot’s guide to setting up a Yoga class’ has definitely got it’s own place on the bookshelf as I’m pretty sure no-one has attempted to write (yet)( arrgh more brackets) anything like it. I chose the title ‘An idiot’s guide’ for obvious reasons, yes it was written by Idiot #1 ! So the book is like one long blog – not that long mind you , I think it’s only 80 pages long and we’ve stuck a few photos and used large fonts to pad it out a bit (jus jokin – it’s all killer no filler). But if you are a self-employed Yoga teacher the cheap at twice the price cost of the book , £7 , I promise will be a very reasonable return for your money. It’s full of neat little ideas that you can use to help establish yourself in this ever growing market of yoga teachers. 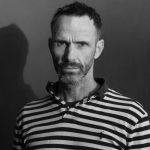 And even if you’re not a Yoga teacher the book will give you a bit of an insight to how I went about creating Yoga Manchester – the highs and the lows and the stupid mistakes I made along the way. It’s like a box of Quality Street – there’s something for everyone in it. I would like to say the book wouldn’t have been possible without the help of two Yoga Manchester students Dani Abalhawa and Rachel Clements. These two lovely ladies took it upon themselves to edit the book from an incoherent rambling mess (see any of my blogs) to the rather reasonably coherent and readable end product. Enjoy !. *my wife will beg to differ here of course, she doesn’t think any of my jokes are funny – not that she reads any of my blogs. Light on Yoga Manchester teachers..